If you have read our past articles on the SDRPlay RSP, you probably noticed that it has been a highly regarded SDR receiver here at HRS. It was named as the best SDR radio available in its price category. The SDRPlay RSP is even good enough to hold its own against far more expensive SDR products. Not to mention that it comes with excellent support from SDRPlay team. Over the past year, the SDRPlay got even better when SDRPlay acquired the excellent Studio One SDR software and adapted for use with the SDRPlay RSP. The new version of Studio One for the SDRPlay was renamed to SDRuno. The addition of SDRuno to the SDRPlay makes the RSP even a better value by adding a very powerful SDR program with a very attractive and professional user interface. Unlike some SDR programs that look pretty dated in comparison. The SDRPlay team continues to add new features and improvements to SDRuno on a very frequent basis. Not to mention that the price of the SDRPlay RSP has been lowered to $129 and is easily available in the US from Ham Radio Outlet. With the SDRPlay RSP’s low price, continous coverage from 10 kHz to 2 GHz, 10 MHz of spectrum, great software, and excellent technical support how could it be any better. Well, it just did. The SDRPlay Team not content to rest on it’s laurels has listened to it users and has added some significant new features and has improved some of the original RSP’s specs. The new product is called the RSP2. HRS was able to obtain a pre-shipping unit from the SDRPlay Team to spend a couple weeks previewing the SDRPlay RSP2 in advance of the product release. 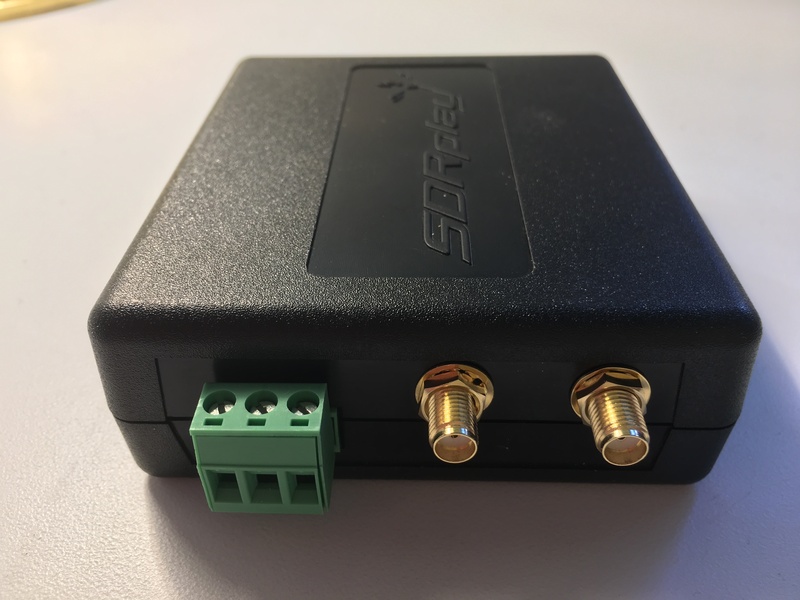 Well, it looks like the SDRPlay Team has produced another excellent SDR product! The RSP2. In a nutshell the RSP2 is an “enhanced version” of what is now called the RSP1. The basic receiver specs will be pretty close to the original specs of the RSP1, but SDRPlay has added some significant new features. Let’s take a look at some of these new features. The RSP2 comes in a sturdy plastic case like the original RSP1. The RSP2 case is about the same size as the original RSP1 case, but the RSP2 is just a tiny bit larger. However one difference you won’t see, is the RSP2 case now includes additional RF shielding to help reduce RFI entering through the case. In the past some RSP1 users built their own solutions to help reduce RFI from entering through the case. In HRS’s original testing this wasn’t a big problem in our RF environment. However even with the new RSP2 additional RF shielding, the SDRPlay Team recommends using a USB cable equipped with ferrite cores to connect the RSP2 to your computer since this can be the primary location where RFI can get into the SDR. This is good advice for no matter what SDR radio you are using. Speaking of cases, there will be another version of the RSP2 available in a metal case called the RSP2 – Pro for a few bucks more. This will be immediately noticeable and is a very nice addition to the RSP2. There are now 3 software selectable antenna ports on the RSP2 case. Two SMA connectors as well as a long wire antenna connector. Typically software switchable antennas are a feature found on SDR receivers costing far far more than the RSP2. The two 50 Ohm SMA antenna ports are referred to as Port A and Port B. The SMA antenna ports should be used with frequencies from 1.5 MHz to 2GHz. Now you can keep your HF as well as your VHF, UHF, or Sat antennas connected at the same time. 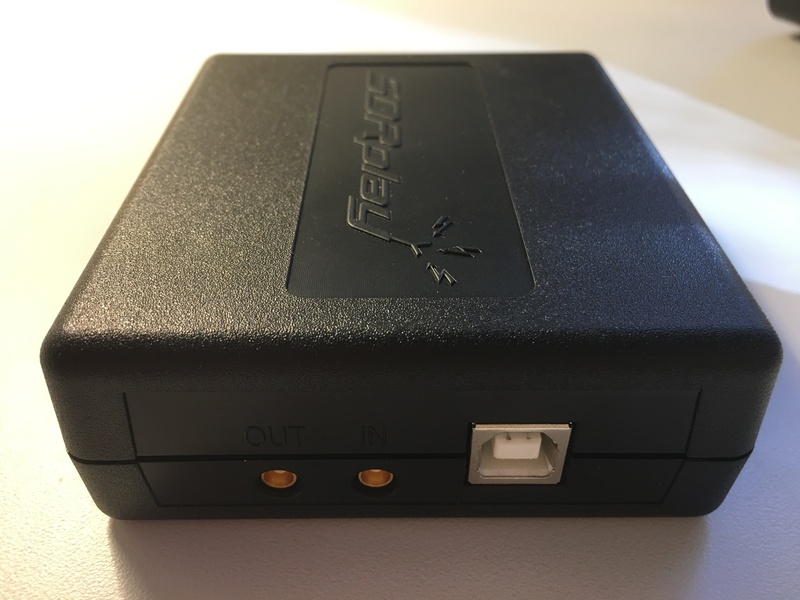 No more having to disconnect your HF antenna and connect your VHF, UHF, or Sat antenna when you want to go from the lower frequencies to higher frequencies. Just select the appropriate antenna through the SDRuno control panel. Another welcome new feature is that antenna Port B now supports 4.7 Volt Bias-T preamps. 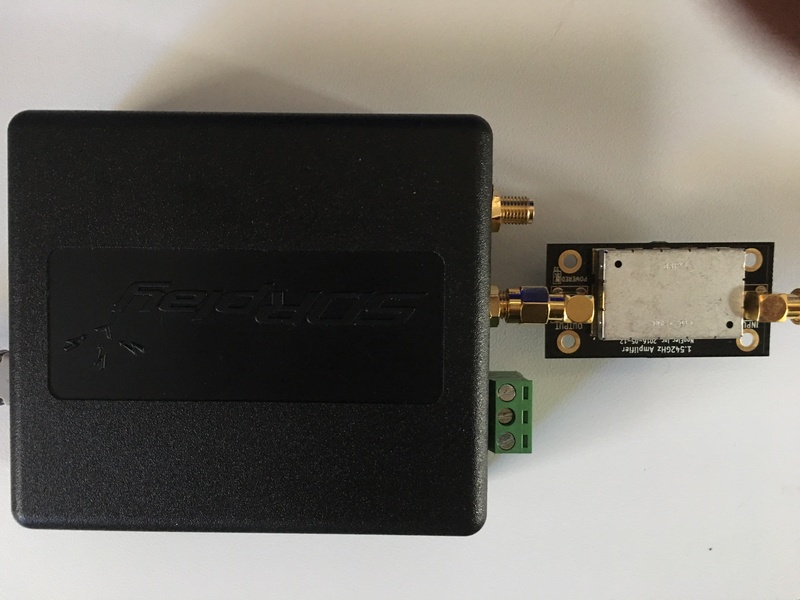 This should be a big boon for satellite hobbyist supporting such devices such as the NooElec Low Noise Amplifier (LNA) & SAW Filter Module For Outernet and Other Inmarsat Applications and the Outernet/Inmarsat L-band Amplifier – LNA Module 34dB Gain and 1dB Noise Figure . The Bias-T power can be switched off and on through the SDRuno control panel. The new Hi-Z antenna port should be a welcome addition for those who prefer to use long wire antennas for MW and HF listening. The Hi-Z connector is located next to the Port A and Port B antennas using a pluggable screw connector and can also be selected using the SDRuno control panel. SDRPlay recommends the Hi-Z connector to be used from 1 kHz to 30 MHz. Note you now have the ability using the Hi-Z to receive down to 1kHz which is not supported on the RSP1. SDRPlay says that it’s ok to connect an antenna to this port using a 50 ohm coaxial cable as long as you are using a moderate length. The new antenna features alone would be worth the upgrade alone, but wait there is more! Great review. I was wondering what the new features were all about. I guess I have to make the plunge. It would not be right to continue with RDP. Next…an Amateur transmitter unit that can stand along side and operate in a transceiver mode. Looks very good. But I have my own system (Silicon Chip june 2014). Has it been possible to run the SDR# software on a Raspberry Pi 3 yet. It is quite a powerful little system and mine is already somewhat enhanced. Looking for some help in setting up the Pi to use over TCP IP. I have a RSP 2. if you can help a bit or TeamViewer in to the unit.